Skylanders Giants Coming to a Store Near You! Skylanders Giants, the cool new video game by Activision, is due to hit stores on October 21, 2012. It’s the next in the series and sequel to the highly popular Skylanders Spyro’s Adventure. 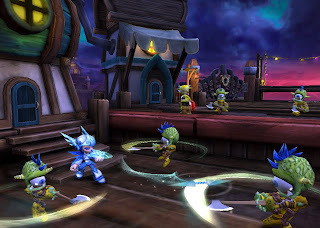 As with Skylanders Spyro’s Adventure, Skylanders Giants will utilize a combination of physical and virtual play. 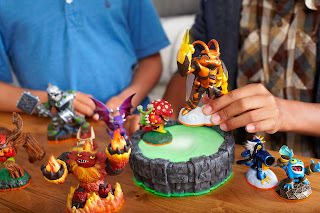 The Skylanders characters are actual collectible toys with “brains” that when placed on the Portal of Power, are suddenly wisked into the video game where you can begin your virtual adventures. In Skylanders Giants, players once again lead the heroic Skylanders as they work to save their world. By traveling to new areas of Skylands, facing new enemies, and working to solve new puzzles and obstacles, players are able to earn a variety of rewards and treasures. 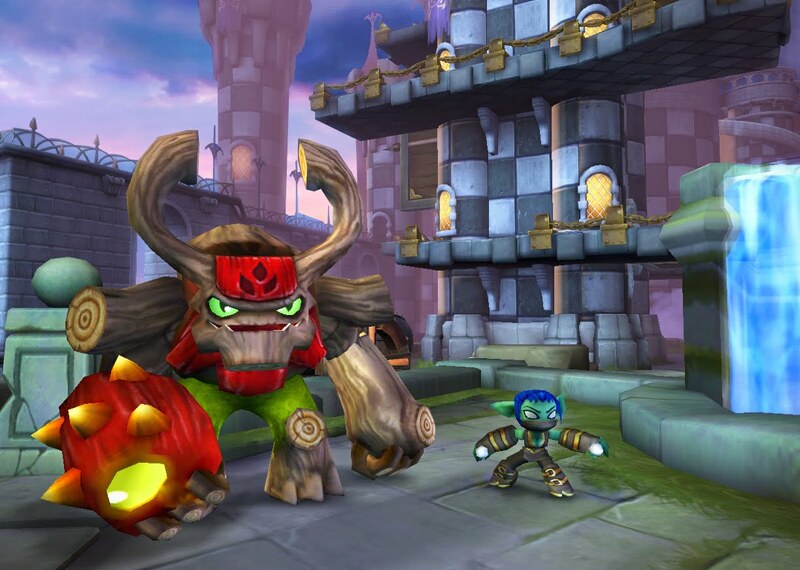 Sixteen new characters will be introduced with Skylanders Giants. These characters are more than twice the size of regular Skylanders and have powers to match! Also, there are new LightCore Skylanders that have a really fun feature – they actually light up in the game and in the real-world when placed on the Portal. All of your favorite characters from Skylanders Spyro’s Adventure are 100% compatible with Skylanders Giants. Fan-favorite Skylanders from Skylanders Spyro’s Adventure return in an all new way, giving players an upgrade power and functionability in both games. 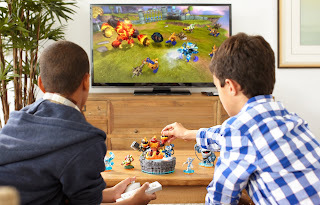 Another great feature of the Skylanders toys – gamers have the ability to play with their Skylanders at home as well as taking them along to a friend’s house, with all of their abilities and upgrades intact. 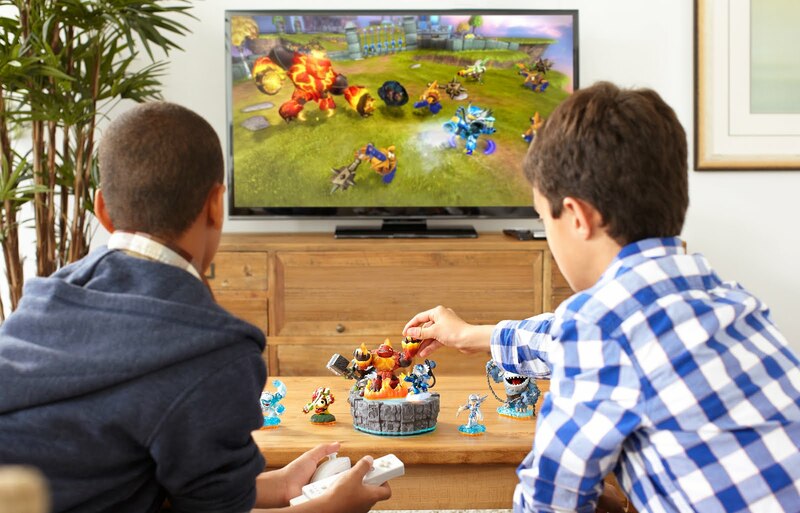 Other features include new Hero Challenges, more Battle Mode play, and advanced integration across console, handheld, mobile and Skylanders Universe (the online world of Skylanders). 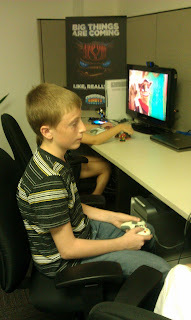 My son, Zachary, and I were recently invited for a visit to Activision headquarters in Los Angeles. There, we got a first-hand look at the new Skylanders Giants game as well as a chance to meet the team behind it’s creation. What a blast! Zachary is a big fan and loved testing out the game. It seems like this game will be a hit with gamers of all ages and is perfect for family play. I’m predicting this is going to be one of the hot toys for Christmas and definitely in high demand. Please visit the website for more information about all things Skylanders Giants! You can also follow along on Twitter and Facebook. 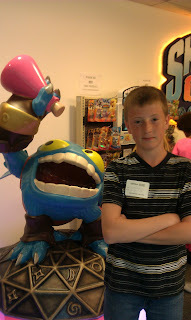 I received a free visit to Activision headquarters to see and learn more about Skylanders Giants. I was not obligated to write a positive review. All opinions expressed in this post are 100% my own and may differ from other. Nice to Meet You: I’m Maria, the New Managing Editor for 5M4M! Really interesting concept of video game – does it comes with the toy characters or you need to buy them separately?